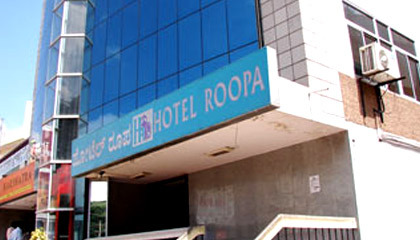 Hotel Roopa is situated in the heart of the city's business and entertainment hub. 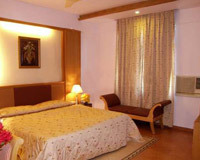 Hotel Roopa is a famous budget hotel that boasts of a contemporary and stylish edifice. 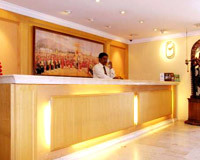 Surrounded by temples and palaces, the hotel enjoys a central location in Mysore. Lovely interiors, perfect service, excellent cuisine and modern technology - all blended together offers an experience that is treasured. 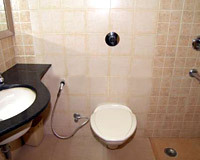 The accommodations offered by this hotel are models of refined luxury and so are the superior amenities and services. With interiors lined with exclusive contemporary art, Hotel Roopa is a perfect place to relax and revive the spirits. 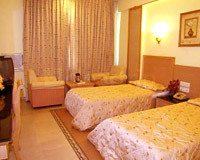 The hotel offers well-furnished rooms, categorized into Deluxe Room, Luxury Room and Suite. 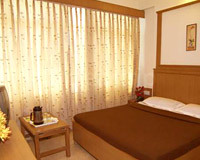 The rooms feature all the modern facilities to suit the taste of guests. 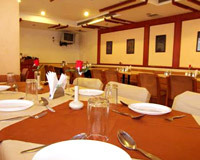 Nakshatra: A multi-cuisine restaurant that serves scrumptious delicacies. Infinte: A terrace resto-bar offering refreshing beverages and exotic drinks.